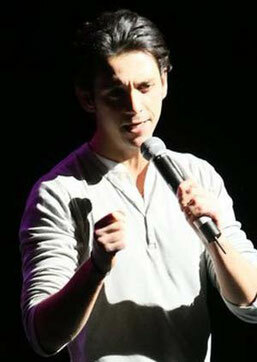 Darius is a seasoned performer first cutting his teeth in 2007 in the comedy clubs of New York city. Success quickly followed as Darius won an MTV New Talent contest, opening the door for Darius to strut his stuff on MTV america. Alas due to “visa irregularities” Darius soon found himself back, and uncelebrated in London. Certain that success would be just as swift, Darius launched himself on the UK comedy scene. In the blink of an eye (four and half years later) Darius found himself gigging regularly up and down the country entertaining the crowds with his high-energy, captivating, and hilarious tales.